Here's a little fun for summer. In addition to being a children's book author, I'm a sound artist. About ten years ago I created this goofy little toast to our genre in sound! Here's a little mule piece I'm working on. Have a great holiday, all. As you can tell, mine has begun. 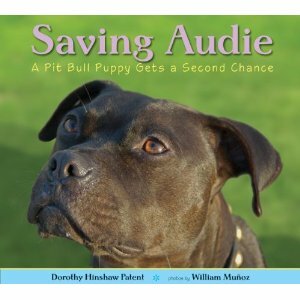 Creating a Buzz for "Saving Audie"
When my editor contacted me to ask if I'd like to write a book about one of the pit bulls rescued from the Michael Vick dog fighting operation, I hesitated at first. Did I want to learn the details of this canine nightmare? I had purposely not read the articles in the newspaper about it because I feel so strongly connected with animals. But then I decided that the story needed to be told because many of these dogs had been taken in by caring people who knew how to help them heal thru love and education. After finding Linda, who had fallen in love with Audie while fostering him, my photographer Bill Muñoz and I flew to the San Francisco Bay Area for a whirlwind visit to get to know Audie and Linda and to see BAD RAP (Bay Area Dog Owners Responsible About Pit Bulls), the organization that had been instrumental in the Vick dog rescue, in action. I had never developed an aversion to pit bulls, and my experiences in California confirmed my belief that a dog is a dog--with few exceptions, the love and training a dog receives are what make it well behaved around people and other dogs, not the breed it belongs to. BAD RAP provides obedience training for pit bull type dogs every Saturday morning. The classes are very popular and have waiting lists. I saw perhaps 75 dogs that day, and heard not one growl or snarl. Once our book was in production, Bill and I decided we'd seek out whatever means we could think of to publicize it. We knew from personal experience that publishers today rarely do more than send out books for review, so it was up to us to let the world know about our book. We set up a website and Face Book page for Audie. The latter has been especially rewarding, as we've "met" new friends such as Cherry, a Vick dog who looks almost exactly like Audie. We've also gotten about 2,000 friends and many heartening posts from dog lovers as far away as New Zealand. I made sure I said "yes" when asked if I'd write a guest blog post or agree to an interview about the book. I'm in the children's writers' group on Linked In and volunteered for an interview through that connection. Another guest blog post came from a Writers' Digest blogger. Publisher's Weekly interviewed me, Bill, and our editor, Emily Easton, for an especially nice article in their online newsletter. 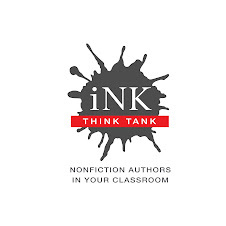 I've sent emails to animal rescue organizations about the book, quoting its favorable review in Publisher's Weekly, and after I made the suggestion, my publisher paid for a targeted email ad from Ink Think Tank. Bill made a trailer for the book, posted it on YouTube and made sure it was linked on the publisher's website. We also did our best to create links to and from the sites we had included. I don't know how much all these efforts will contribute to book sales, and there is really no way to find out, but these days writers have to pony up and be creative about how to get their books "out there." Most books will have some kind of connection to the world--organizations, clubs, websites, National Parks or Monuments--use your imagination to find the people who will want your book. You will never know how much your efforts help sales, but your own life will be enriched by the discoveries you make in the process. The school year has finally come to an end and it seems fitting that I’m sitting here trying to find the right words, yet again. In many ways, it was a year filled with wondering about words—pondering over their meanings, finding just the right one, waiting to hear the one word that will change everything. Teaching ESL students this year, I had to constantly think and double think about word choices and the power of which word we choose. “I’ll go for a walk alone” has a much different feeling to it than “I’ll go for a walk by myself.” While both might be correct for a given situation, the former implies a sense of solitude, and perhaps isolation, than the latter doesn’t. Does the subtle difference really matter? Is it even clearly evident? How far should one go in trying to explore the differences and when is it OK to just say, “either one is fine”? Here’s another interesting example that came up in class. “My daughter is afraid of the darkness,” one student wrote. I edited it to “my daughter is afraid of the dark.” But when do we use darkness, she asked. Can you believe the best example I could come up with on the spur of the moment was Springsteen’s “Darkness on the Edge of Town.” I might not have explained it well but perhaps I initiated a new Bruce fan. I also spent an abundance of time this school year reading college essays and editing with a fine toothcomb. It turns out, the most important skill a teenager can have when applying to college is having a way with words in nonfiction. You have to be able to write about yourself and express a sense of who you are, preferably in 500 words or less. These words not only matter, they can literally change the direction of your life. Any college wannabes who had previously enjoyed a good nonfiction biography or memoir, certainly had a leg up in understanding how to create a mood, feeling, and image of the writer with their own words. Know any kids interested in exploring words this summer? My supremely talented friend is running an amazing on line workshop called PLAY ON WORDS for kids ages 10-17 and it includes writing memoirs! And I will continue to help students find the right words to display their awesomeness in college admissions essays, so if you know any rising seniors that need help with this all important nonfiction writing, please send me an email (see address in the sidebar). Deer Mom and Dad.... whoops, wrong musing. That was my letter from camp when I was seven years old, in which I described my excitement at catching a "forg" in the pond. This summer, just a few years after that incident, my summertime musings begin by recalling my final school visit tour of 2010-11, which took place in late May in rural Gallia County, Ohio. It's in southeastern Ohio, near the charming small city of Gallipolis (pronounced nothing like Gallipoli, the peninsula in Turkey, but more like "Galley-Police"). This part of Ohio is in Appalachia, across the river from West Virginia, and just as scenic. Economically similar as well, I believe. I hadn't realized Appalachia extends into Ohio. Anyway, I had a great time with the kids of rural schools in Gallia County. I loved watching them laughing at my math antics and getting all excited about my bags of popcorn that grow in size by powers of ten. Which is pretty much the same reaction I get from kids at suburban schools and urban schools. From white kids, black kids, brown kids. From rich kids, poor kids, in-between kids. The great thing is that when you give them a chance, kids will be kids in more or less the same way. They find the same things funny, the same things suspenseful and the same things fascinating. There is a variation in taste, of course, but the vast majority will react in more or less the same way to the same stimuli. I'm not sure that's as true with adults. And it's the same with non-fiction books. Kids are curious about their world. They find fascinating facts to be...well, fascinating. Most adults have narrower focus. They're interested in sports...or science...or finance...or politics...or cooking...or children...or home improvements ... I'm not saying they can't have multiple interests but I think kids have a more voracious and undiscriminating palate for the wonders of life. Which sounds delicious to me. Here is a picture of kids in counting to a million by piling up ten imaginary bags of one hundred thousand popcorn kernels. "... seven hundred thousand ... eight hundred thousand ... nine hundred thousand ... ONE MILLION!!!" Today’s school reform movement conflates the motivations and agendas of politicians seeking reelection, religious figures looking to spread the faith and bureaucrats trying to save a dime. Despite an often earnest desire to help our nation’s children, reformers have spread some fundamental misunderstandings about public education. You can read all the myths at http://www.washingtonpost.com/opinions/five-myths-about-americas-schools/2011/05/09/AFunW27G_story.html . I might carry on about my wish that author Paul Farhi had nodded to a sixth myth about school libraries in general and non-fiction literature in particular being disposable "extras" to education rather than one of its lead actors... but I won't. I don’t mean to beat this topic into the ground; really, I don’t. It’s just that I keep thinking about the difference between nonfiction books and movies “based on” nonfiction, and my perspective keep broadening. Part of that has to do with the fact that one of my friends is a very successful screenplay writer, and hearing his perspectives about movies “based on” the lives of real people has got me thinking in new directions. For anyone who reads my blog entries, it won’t come as any surprise that I am usually treading the purist line of nonfiction. Don’t make anything up, ever. But this “based on” the lives of real people issue in the movies is complex. Some of it even has to do with rights. For example, I recently learned from my friend that there are varying degrees of situations in which a writer either needs to, or does not need to, secure a person’s life rights. 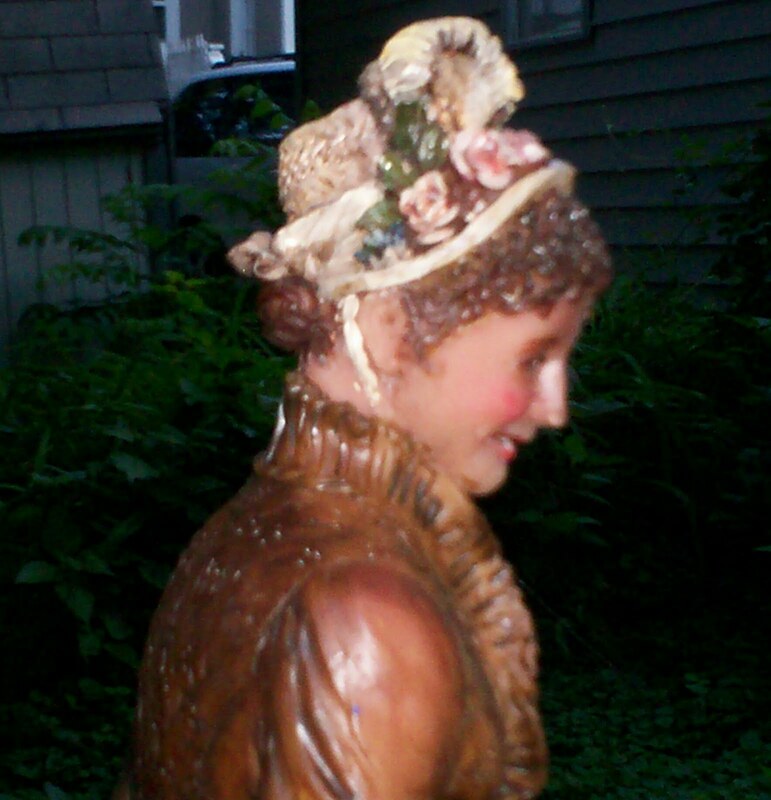 If it’s a public figure, and it is long enough ago, it is considered public domain. But the length of time does not necessarily matter if it is a private figure (such as a specific hero or heroine in a story who is not well known). Interesting, right? Now I find myself thinking about all kinds of distracting things while watching films such as The Aviator, The Conspirator, The King’s Speech, The Blind Side, and the list goes on. Wikipedia tags The Blind Side as “semi-biographical,” in fact. I didn’t even know that was a category! If all the facts about the family in The Blind Side were known, would the story have come across in the same way? Maybe, maybe not. I wrote a lot about the Fine, Fine Line of truth in nonfiction books in my recent Horn Book article. But in the movies, that line seems not to be so fine at all…and people seem fine with it. I wonder why that is? My filmmaker friend believes it may be because the truth isn’t dramatic enough for a blockbuster movie. I argue with him about this, of course, but his points have at least made me not be as stubbornly rooted (momentarily). For example, I said to him, why did The King’s Speech need to make Churchill appear against King Edward’s relationship with Wallis Simpson when in fact Churchill was fine with it? More dramatic, my friend said. Perhaps, I replied. But why not just leave that bit out and leave well enough alone, I pushed. He ventured a guess about people being hesitant to expose the flaws of giants such as Churchill, which might have been distracting to the main thrust of the film. Again, that may be. But why twist history? I have some more thinking to do about this, it seems. My opinions hold fast when it comes to truth in nonfiction books, but perhaps this movie thing is too slippery for me. Or just slippery enough. I certainly enjoy watching these “based on” movies, but I can’t help feeling duped once I discover which facts have been altered to fit the script. Where do you stand? Linda Salzman took us on a tour of her high school daughter’s favorite nonfiction books a few weeks ago. I’m visiting my niece and her family in Brooklyn, and browsed through her children’s books, helped by eight-year-old Nadav. He’s reading Harry Potter, Book Five at the moment, and that’s his favorite book series. But nonfiction has its place in his library too. Second favorite is the Magic Treehouse series, fiction with a lot of history in it. He has read dozens of those and likes them because they are adventures and he learns about lots of different times and places. The Amazing Books about Questions and Answers by John Guest is another favorite because “it has tons of facts about everything.” He doesn’t look for answers to specific question, but opens the book to read about all kinds of things. He likes reading about plants. In the DK Book, Planet Earth: one million things by John Woodward, Nadav’s like to read about geodes, minerals, and caves. “I like how it tells how crystals form.” He wants to be a scientist and an archaeologist when he grows up. Polar Bear Math: Learning about Fractions from Klondike and Snow is on the pile of favorites too. He hasn’t done the math in the book yet, but likes the pictures of polar bears. Reading is his favorite subjects in school, but math is second. He is going into third grade and has already learned about fractions. Finally, The Everything Kids’ Science Experiments Book by Tom Robinson is in the pile. Nadav’s favorite experiment has been making a volcano with baking soda, vinegar, dishing washing soap, and red food coloring. Nadav has written lots of poems (favorite is an acrostic,) and stories. If he were to write a nonfiction book, he’d write about dinosaurs. He read a great book at school called Dinosaurs, with lots of pictures of dinosaur skeletons. His book would have more pictures of live dinosaurs, not just bones of dinosaurs. Adventure and information, the earth and the people in it, all are favorites of Nadav. A couple of weeks ago I was lucky enough to tag along on a mini book tour of my husband's. They were publishing editions of his latest book in The Netherlands and Bulgaria and his publishers asked him to come give talks in three places: Amsterdam; Gent, Belgium; and Sofia, Bulgaria. I'd always wanted to visit Amsterdam. Belgium sounded nice, but when he said Bulgaria, I said, "I'm coming!" When else would I have a chance to go there? I can't tell you about the whole trip in a short piece (though I would love to), but I will tell you about one thing from each place. First, the thing that "blew my mind" in Amsterdam. No, not that. I was too jet-lagged. The Anne Frank house. I knew I would have to go there. I read The Diary of Anne Frank when I was in sixth grade. I'll never forget the moment I finished it, at a family gathering at my grandparents' apartment. I adored everyone in that apartment, and yet when I closed the book, in hysterical tears, I looked at my grandparents, my parents, my aunts and uncles, my older cousins, and I thought: I hate you. I hated them why? Because they never told me. My younger son had the same reaction when he first learned about the Holocaust in Sunday School. Of course this is not about not being told, it's about learning it for the first time for yourself. Experiencing the horrors of the world unfiltered in some way. That happened to me again in the museum that is in Anne Frank's hideout. 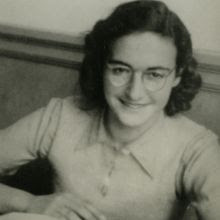 Walking through the rooms where Anne and her family hid out, reading Anne's words, looking at photographs of Anne and her family, and the others, touching things Anne might have touched, I was deeply moved. Walking through with a crowd of other people from all over the world, all of us silent, was an emotional experience. Thinking of Anne experiencing first (and last) love in those rooms, was almost unbearable. Reading her gorgeous words, her genius that was snuffed out by evil, I was near tears. But it wasn't until the end that I was walloped. The people at that museum know how to tell a story. When you get to the end, there are videos of people talking not about Anne, but about her sister Margot. Saying things such as (not an exact quote), "I don't know why they focused on Anne. It was Margot who was special, brilliant..." At first I was upset because this felt like a betrayal of Anne. Then I realized with a thunk: It's all about Margot, isn't it? Because of course Margot was special. Of course her friends would think it was her story that should be told. And how many friends of the millions upon millions of people who were killed in Germany and Poland and etc. by Hitler and co, and in Russia and Lithuania by Stalin and co, and etc. etc. etc. would think that it was their friend whose story should be told? You get to the end of Anne's story and you are not allowed to feel grief about just her life. You have to multiply it by an unimaginable number. And that is, of course the beauty of Anne's story--it is particular and it is universal. But hearing about Margot makes the whole thing overwhelming. Why didn't anyone ever tell me about MARGOT? Yes, folks. That is the way to tell a story. I understand it's a temporary exhibit. I hope they keep it there always. I spent only a day in Gent. During that time I did the most important thing one can do in Belgium: I bought chocolate. And ate chocolate. Also pizza. (If it was Wednesday, it was Belgium. I have to go back.) I also got to know a young woman, an academic, who I hope I will see again. not only did his book launch include the most famous actress in Bulgaria, a "living legend," Tatyana Lolova, who is a great comedian and singer, not only did they feed us sumptuous meals (once I told them I love eggplant they ordered every eggplant dish on the menu), not only did they take us around Sofia and in an hour and a half tell us everything they possibly could and probably everything we needed to know, not only did they do all of this and more, but they also did what I thought might be impossible for two middle-aged writers: they inspired us about the future of books, and nonfiction books in particular. Sofia is a wreck of a city in many ways. Huge Soviet buildings--concrete, ugly, covered in graffiti dominate. Public buildings are vandalized regularly. People steal the metal railings to sell to factories. Everywhere we went there were missing banisters, chopped up streets, boarded up windows. Crime is king--not violent crime, but corrupt government, bribes, organized crime... The fashion for men is to look like a crime lord. And YET in this environment there is a small but strong and vocal segment of the population--dominated, I gather, from our delightful hosts--that is determined to foment intellectualism. Hristo, who is only 26, reads books from morning until night. 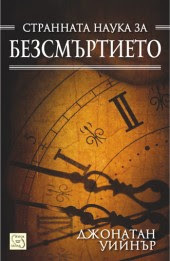 He has a blog (sadly only in Bulgarian) in which he writes about books that he loves. His job is to read books in English for the publisher, East West, and recommend which ones they should translate. ("Can you believe it? It is my dream job--to read all day!") His current dream is to build a small private free library so people can borrow wonderful books --because there is nothing like that in Sofia. He is raising the money by selling books he's read, delivering them himself on his bicycle. Spending about 48 hours with Hristo and with Petyo, Jon's translator for the visit, who knows 40 languages!, and with Leyuban, the head of East West, and his wife, Girgi, restored my faith in the future of books and intellectualism and even in the possibility of peace through words. O.K. maybe it was all that yogurt. But I felt renewed optimism in that former Soviet Bloc country. It may be seriously dysfunctional, but there is wireless everywhere. They might publish Charles and Emma in Bulgarian. I hope so, even just so they ask us back. When we parted at the airport, we felt like we were leaving family. I think we were. I hope to see some of you at ALA this weekend. I will be presenting at the nonfiction book blast, and signing at three different booths. Come say hi! So, all day long I have been avoiding the great, steaming outdoors - is this Borneo or is this Missouri in June? what's the dif? I ask myself, i.e. you guys, knowing well that there may well be among you, adventurous souls who have, in fact, been to Borneo, as I have not, but then, how many of you have sweated out a summer afternoon in Missouri, which leaves you feeling like a used tea bag? In any case, grateful I am for the luxury of air conditioning and having manuscript revisions to do and have done all this, as is said, the live long day. And what about? The West & our nation's cruel, ghastly, heroic, make-or-break, inevitable expansion thither - oh baybee, can you tell that I've been watching Poirot on PBS? Well, what's the use of being a writer if one can't toss around words such as thither every once in a while? We want to get there sometime today! You poop along like an old tomater! Why don't you step on the accelerator?! Are you like dead up there at your steering wheel? We're begging you to please go fast! Mr. Slowpoke, step on the gas! – to Campobello Island, where I had the bittersweet honor of standing in the doorway of the room in which Franklin Roosevelt sweated and suffered, with the polio's terrifying onslaught, 90 years ago this summer. I had the privilege of writing & illustrating FDR's & ER's story years ago... the book was in print maybe three or four months, the world being rotten...] and sculpting [an example in the picture here], knowing all the while there was writing to be done. So, when I no longer could avoid it, I set myself to typing on an actual contracted manuscript, the first in too g.d. long a while. I gave myself up to cutting and pasting, to looking things up, Googling, paging through one or the other of my encyclopedia and 26-or-so or so books lined up in a tidy row on the floor beside this desk. What a far out deal, rediscovering what fun writing is, once you tackle the hard part: Getting started. So I've been obsessing over finding the clearest, most concise way of explaining such things as the Northwest Ordinance of 1787, the fur trade, and the National Road, which was begun two centuries ago this year, just for you to know. Happily obsessing until I have to explain the Black Hawk War of 1832. If I hadn't, I'd never have known that old Black Hawk, the prisoner, was taken back east and exhibited a la spoils of war, to the hoi polloi or ever read, shuddering, an account of what happened one summer morning on the banks of the Mississippi. Jeez, there's no avoiding the fact that our kind's history is a nasty & cockeyed caravan. Still, I'm busting to get back to it, first thing in the morning. When I was in grad school, I worked as a baker making cookies, pastries, muffins, and bread. I even fried donuts every Friday morning, coming in to work at 2 a.m. (ugh) to get the dough ready and then hovering over a vat of hot grease as the donuts puffed up and rose to the surface, sizzling. I was chronically sleep-deprived. I burned my hands and forearms sliding trays into and out of the huge oven. I had to wear a hairnet. Plenty not to love about being a baker. And yet. And yet—on many levels, it was a deeply satisfying job. It was creative, for one thing: the sparest of ingredients (plain flour, water, baking powder, yeast…) could be transformed into a huge variety of beautiful products: chewy rye bread, flaky Danish, melt-in-your-mouth butter cookies, tender muffins bursting with berries. It was also fun to work in a place where people were generally happy. They were treating themselves, spending time with a friend, picking up a little something for a celebration. Not too many Grumpy Gusses go to bakeries. Perhaps most important to me, though, was that the job offered immediate gratification (and I don’t mean snack-wise, though I did sometimes sample what I was making.) Often at the end of my shift I would find myself stepping back to look at the shelves of fragrant baked goods—toasty brown, just asking to be enjoyed—and feel this enormous sense of pride and abundance. I had done a good day’s work. I had accomplished something—and row upon row of cookies-muffins-toothsome treats was proof. One of the biggest lessons I’ve had to learn in becoming a writer, in fact, dealt with just that: Where is the proof I got anything done today? Did I make any real progress on structuring my story, on understanding the people who will populate my book? Stepping back at the end of the day, the shelves sometimes seem empty. Where’s all the pumpernickel and rye?? Where are my two dozen cream cheese Danish??? It used to freak me out when I first started writing full-time: I’d work all day, be utterly brain-dead at the end of it (just ask my husband), and there’d be nothing to ‘show’ for it. Some days I didn’t write a single word, or if I did, it was only to scrawl notes from a reference book. Some days were spent in the library, searching (in vain) for some biographical detail or perfect quote. On days like that, I sometimes wondered if I had even justified the $2.50 I spent to park my car in the university library parking lot. I felt guilty and a bit like a fraud. It seemed weird how much of the time writing a nonfiction book did not involve writing at all. But all the groundwork, all that pre-writing, is essential. It can take months of research until you uncover enough information and have a good enough sense of your topic to write even the first line. The poking around, the meandering side-trips that look promising but then end up going nowhere, the incremental building of a base of knowledge—they are all part of the process. I’ve learned to measure progress not by days but by stages: Getting to know my characters? Check. Getting a sense of the story I want to tell? Check. Tossing the six or eight or ten wrong starting places for the right one? Check. I’ve learned to embrace the concept working on faith—faith in the integrity of my story and in its need to be told—to sustain myself through the long slog of doubting whether I will be able to tell it. I’ve learned to keep working on faith until the story takes on a life of its own, and I can hold on, try to keep up, and try to stay out of the way. I’ve come to understand that a writer actively writes (pen to paper or fingers on the keyboard)—taking an idea from first draft to revisions to finished product—to get a handle on the story, and that an author can’t truly know a story until s/he writes it down. But before the actual writing starts, there is important work to be done—work that can’t always be shown or proven or sometimes even verbalized in any way that would make sense to anyone else. But important work, nonetheless. It’s a longer incubation period than whipping up a batch of crispy, chewy raisin oatmeal cookies, to be sure. But when the story finally comes together? Tasty, toasty, satisfying, indeed. As part of my quest in recent months to get my arms around the changes in publishing due to digital books, I’ve been exploring interactivity. How can it transform the static page of a print book into a place for readers to explore in new ways? Other options include adding audio of roaring, video of how a lion runs, an interview with a biologist, a game comparing lions with other big cats, and so on. For a nonfiction ebook, there could be an opening section that explores common myths about the topic. The reader could tap on the text and the myths could melt away like the Wicked Witch of the West, or some other fun effect. How about including a section in the digital book for Readers to move around and organize facts in various ways? They could take a screenshot of their work to save it. 131. Question and Answer Cards: Make index cards for every student in the class; half with questions about class content; half with the right answers. Shuffle the cards and have students find their appropriate partner by comparing questions and answers on their own cards. There could be a list of question “cards” at the beginning of the ebook, then Reader searches through the material for the answers. As each question and answer are matched up, Reader scores a point. Speaking of information, for those I.N.K. 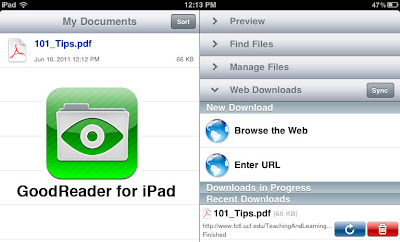 readers interested in iPad productivity apps, I downloaded, read, and highlighted favorite ideas from Yee’s list with an excellent PDF reader app, GoodReader for iPad. The image below shows the My Documents area where your PDFs are listed. (I added the green logo.) You can browse the internet and download documents at will. It’s going to be fun to see how information will be gathered and presented in innovative ways as the technology for creating interactive books becomes more accessible to content creators. I have had a great gig this year: author-in-residence at the Michael J. Perkins School in South Boston, a small elementary school set right in the middle of Old Colony Housing Project. Old Colony is being renovated and I was hired to work with the Perkins kids on a blog about being in the middle of a construction zone. I described more about the situation in last October's post. As the end of the school year approaches, it's natural to look back and access the experience. Having done school visits for many years, I have always been in awe of classroom teachers. Now, I bow down to them. To see what they do every day, day after day, is amazing. To see the pressure to fulfill a state's curriculum--teach X from October 12 to November 3rd and then segue to unit Y on the 4th. To understand more fully how my coming to the classroom with extras means extra resources and richness but extra work squeezing to fit everything in, however worthy it all is. When the kindergarteners read Mike Mulligan and his Steam Engine, they wondered what the workers on the site had named their machines. They were amazed--maybe a little horrified--when they realized those excavators and dump trucks were just called "it" or "they." That's when the Name That Crane campaign was born--the two kindergarten classes each nominated names, ran campaigns and voted for the name to call the huge crane that lifted the steel (they also learned the democratic process in the bargain, which made the See How They Run author very happy). Voting Day was very exciting, take a look. One second grade class is collaborating on a book about the day in the life of a construction worker and what these men and women must do to stay safe. For one week, they spent an hour a day observing the construction site and writing down what they saw. Then they did interviews; two workers came to their classroom to answer their questions about safety. The kids got to touch and try on the equipment so they could really understand what they were going to write about. In other words, these young kids were learning to research exactly the way we professionals do. The fifth grade teacher asked me to come in to talk to her class to kick off their nonfiction book writing unit. While I was there I mentioned that I've found that when I'm really interested in my subject, I find that my book turns out better. So this intrepid teacher decided to abandon the "everybody writes about a person in history or an animal" assignment and let the kids pick. Pretty brave for a school where the kids have computer class once a week and no school library, really. But the next time I came back, the kids were running with it. Give kids a choice and what do they come up with? Books about cancer, profiles of each of the ingredients in pizza, why tears are salty, the history of video games, snakes that swallow their prey whole, New Jersey's role in the Revolutionary war, and a profile of a favorite teacher--among others. Oh, and the Big Bang Theory. Today I'm going in to show them about dummying up a book. The teacher says it's tough, it's a bit chaotic, but the kids are running with it and have never been so excited about a project. Isn't it the way it should be? Aren't they lucky? Aren't I? Can't wait for the publishing party. What do a bunch of biographers talk about when they get together? I found out last month when the Biographers International Organization--aka BIO, of course--held its second annual conference at the National Press Club in Washington, D.C. On its website, BIO is described as "the first-ever international organization to represent the everyday interests of practicing biographers: those who’ve published the stories of real lives, and those working on biographies – in every medium, from print to film." 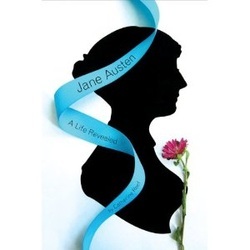 My friend Catherine Reef, author of the wonderful Jane Austen: A Life Revealed, had invited me to be on a panel with her about writing biographies for young adults. Mary Bowman-Kruhm, author of The Leakeys: A Biography, completed our trio. About 30 people showed up for our presentation, a pretty good turnout. (I always like it when the audience outnumbers the panelists.) They were a serious, note-taking bunch, which unnerved me a little until I told myself to think of them as 10-year-olds, my favorite audience. When I shared that with them, most of them smiled. "But I'm not talking down to you," I said, and then commented that good nonfiction books for children don't talk down to readers, either. Later that day, while I was waiting in line for the restroom, a woman noticed my panelist badge and asked which panel I was on. "Oh, my friend went to that one and told me it was really interesting," she said. Just as I was beginning to preen, she added, "My friend said that writing for kids sounds so much easier than writing for adults that she wants to give it a try." Oh really? I started to bristle, then relaxed. One of our jobs as nonfiction writers for kids is to make complex subjects understandable. Obviously my co-panelists and I had succeeded in making our craft seem accessible. I smiled as sweetly as I could and said her friend should definitely give it a try. And I meant it. Let her learn how easy it is to paint a rich portrait of a human life in only 20,000 words, or in the case of my books, a mere 8,000. Heck, let her try writing a picture book biography! To be fair, I don't think the woman in line with me was trying to sound condescending. And most of the other biographers I met were intrigued and genuinely interested in my work when I told them I write for children. It was a terrific conference, and I only wish I had had the opportunity to attend more workshops. Among the offerings: Dealing with Black Holes in Your Subject's Life; The Role for Fiction in Biography; How to Organize Your Research; Can I Quote That? Dealing with Copyright, Fair Use, Permission; The Art of Interviewing; Using Technology in Research; and Turning Research into Narrative. The keynote speaker at the luncheon was Robert Caro, two-time Pulitzer Prize winner for biography, who spoke about the power of place in biography. The 2012 BIO conference will be in Los Angeles. Think about it. And in the meantime I'll leave you with these words from Cathy Reef's excellent talk: "A biography written at any level is so much more than a collection of facts about an individual. It is a work of literature, a portrait in words." Very late last night I was reading some recent posts on INK trying to jog my brain and pry loose an idea for my scheduled blog. Then it hit me! It was so easy to notice that not only do INK’s writers work incredibly hard to unearth the material in their books, but they are incredibly lucky too. This job is fun. One of the reasons that I was writing this piece so late in the game is a case in point. At 7:00 last night, INK bloggers Dorothy Hinshaw Patent out in Missoula Montana, Vicki Cobb up in White Plains NY, and yours truly from Fairfax Station VA were having some fun by doing a live Computerside Chat via SetFocus. Entitled “Wild Women at Work,” the idea was to let viewers from multiple computers all over creation tune in to see us talk about the most exciting parts of our job; we wanted to discuss a sampling of the adventures we’ve had while ferreting out juicy facts for our books. Dorothy and I also talked a lot about mining original source material, and I see from Steve Sheinkin’s blog about detective work that we must share the same brain. Ever since 1997, I’ve been calling myself a detective too - or even a spy who snoops around looking for clues. Well, clues run rampant in original source material, and the colorful language and stories we’ve found are to die for. Of course in my case, this is a very safe kind of sleuthing, since all the people I’ve been spying on are stone cold dead in the market and have been for hundreds of years. The fun continues. I get to do all the artwork in my books, and who wouldn’t love to do that at some point in their life? Then there’s Alex Siy. Check out her first INK blog from last Thursday to see what her life is about. Or read about the excitement in Karen Romano Young’s barn on Memorial Day. 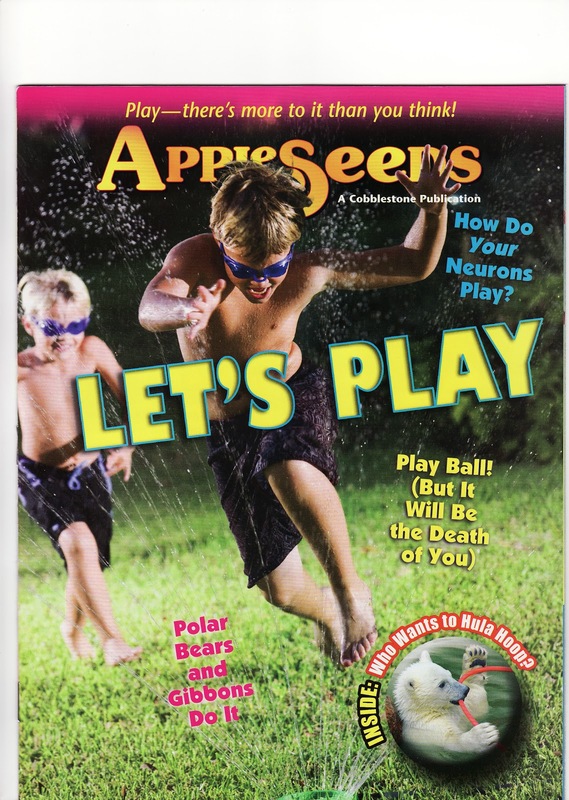 This type of fun in the real world has led directly to some of the most amazing nonfiction books kids could ever wish for. So here’s hoping that the adventures these authors undertook on behalf of writing their true tales will spill over into the lives of a few kids who read our books. Maybe they will become the writers of the future. Or the artists. Or the scientists. Or the thinkers and dreamers and inventors and adventurers. Anyway, you get the picture. That won a few kids over, at least. But the thing is, it’s really true. And to me, those days spent following sources, never knowing where they’ll lead, are some of the most rewarding days—even when they don’t result in “useful” details or book ideas. 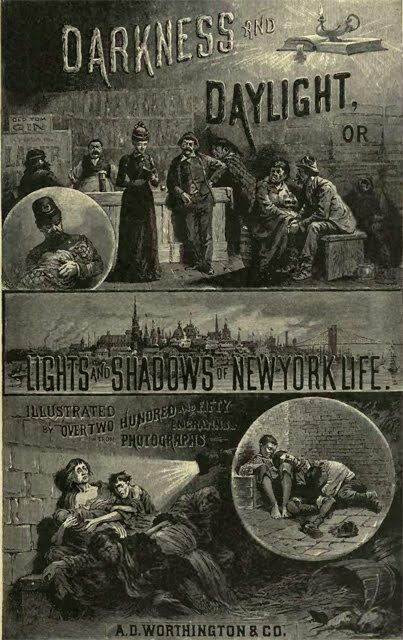 Recently, at a used bookstore, I stumbled upon a thick volume from 1895 called Darkness and Daylight in New York, With Hundreds of Thrilling Anecdotes and Incidents, Sketches of Life and Character (and the subtitle goes on for four more lines). 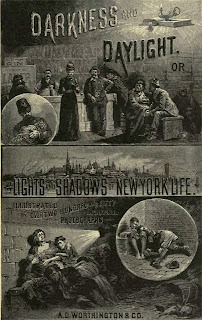 In the book's first section, a reformer and relief worker named Helen Campbell describes her work with New York City’s poorest. The details are vivid and shocking, and the text offers a wealth of urban street slang. At one point Campbell lists the names of homeless newsies she’s met, including Yaller, King of Bums, Snitcher, Snoddy, Kelly the Rake, Slobbery Jack, and King of Crapshooters. I can’t begin to describe the richness of this source, so I’ll just tell one story. 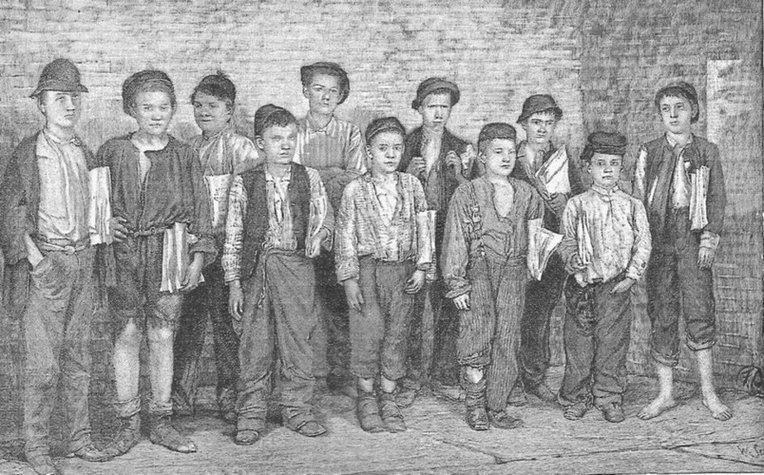 One day, at a charity hospital, Campbell met Jack, a boy of about eleven with “grey eyes, large and full of expression,” and a body stunted by hunger. Lying flat on his back, wrapped in splints and bandages, he told Campbell his story. As the police charged up the tenement stairs, Jack and Buster climbed to the roof and ran to the building’s edge. Buster turned to Jack. “You meant to give me away, did you? Damn you!” Before Jack could deny it, Buster pushed him. Jack fell four floors to the ally below. Finding stories like that—that’s why I do homework for a living.